Most people, when asked this question, will normally think about how much weight they can lift or if the are overweight or not. 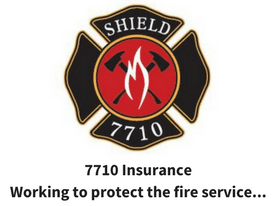 I argue that being “firefighter fit (fire rescue fit) is much more than that. You may be able to lift heavy weights but that doesn’t necessarily mean that you are that strong. When talking about Firefighter fitness you are only as strong as your “weakest” part. 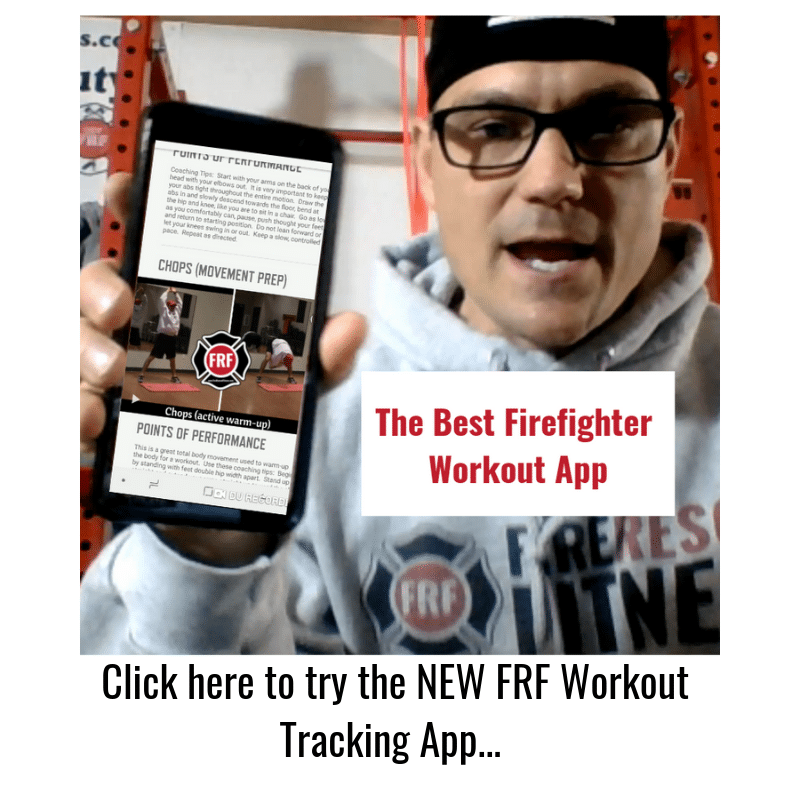 You see true strength comes in the form of functional fitness, fitness that can be applied and used in fireground situations, not just in a gym. When you carry the saw from the truck to the scene or lift a patient into the ambulance you use many muscle groups which have to work together to achieve the job at hand. 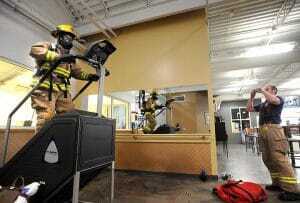 The Fire Rescue athletes’ body must work as one unit, integrating all the muscles together. Weight training in its conventional form (on machines), isolates muscle groups, and it does not teach the muscles it isolates to work with each other. Functional exercises focus on building a body capable of performing real life movements in real life positions, whereas weight training on machines in a gym, teaches the body to perform only in positions when posture is made ideal by the machine. Machine training is not the same as functional training. We see this in the fire industry all the time, someone reaches for something or bends the wrong way and “bang,” throws their back out. Now there are cases where we lift heavy things in awkward positions and “yes” those situations have a high incidence of injury. What I’m talking about are the situations where someone is reaching for something light and happens to “tweak” their back or shoulder. In this situation, the “tweak” can be attributed to poor core strength and a lack of flexibility. When we perform everyday movements, such as carrying equipment or reaching over a patient, our body calls into play many more muscles than would be used on a gym machine. When we lean over or reach to lift the equipment, we use the stabilising muscles, which include the core muscles of the abdomen and secondary muscles to keep our balance so we don’t fall over. We all know that firefighting is a physical job, we need to be strong, have good muscular endurance, great core and grip strength and must be able to recover quickly. The challenge that we (as fire rescue athletes) face is trying to identify how to functionally test fire rescue athletes? There are so many components of the body that must work efficiently in order to do the everyday tasks of the Fire Rescue Athlete. This is the purpose of today’s blog post. 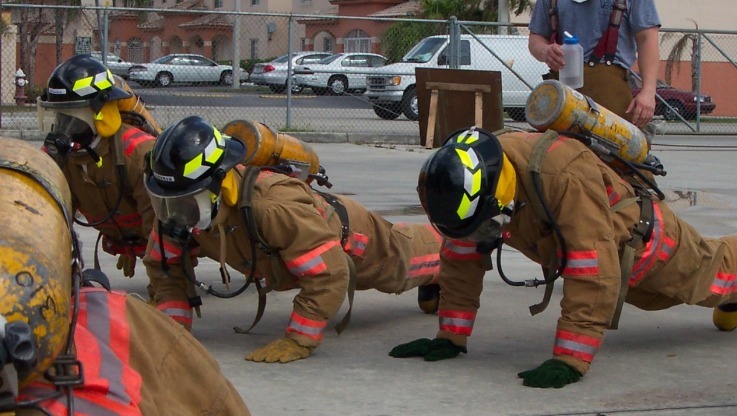 How do you define firefighter fit? What tests do you think are good measures for our job? I have been doing a ton of research on this topic and have some guidelines and assessments that may work which I will post about soon. For now, what I really need is some input on this topic, let me know what you think. Please leave comments or email me. 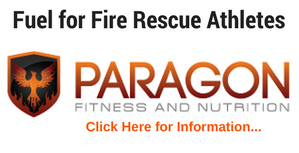 PS- If your looking for a great firefighter workout program and some nutritional guidance please join my FireRescue Fitness Email list and get my 28-day Quickstart Workout Program and the SOP’s to Eating Lean in the Firehouse. Click here to get them FREE.